A second-generation artisan framer, Wood Trader founder Sara Kraber brings a passionate and cosmopolitan worldview to every project in her shop. A lover of travel, Sara has toured the galleries of Russia, Egypt, Machu Picchu and France to expand her craft. Sara is the proud mother of John who is currently living and working in New York, and Liz, who recently earned her MFA, is the Fabrication Shop Manager at Cal Berkeley. Who better to mind the store than our resident M.B.A. Leslie joined the Wood Trader team over 18 years ago. She brings a blended background in both retail and finance. Her systems knowledge and operational skills ensure that the store is running smoothly behind the scenes. Leslie and her husband are parents to Jared, a junior at Miami University (Ohio) and Ryan, a senior in high school. 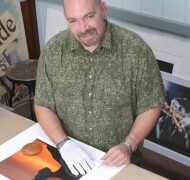 Stephen began his career as a framer in 1984 in California where he attended Cal State. He brought his seasoned and refined sense of craft to Wood Trader in 2004. Stephen and his partner David enjoy cooking and renovating their home and yard. David discovered his love for the framing profession while pursuing a degree in drafting at Cleveland State University. 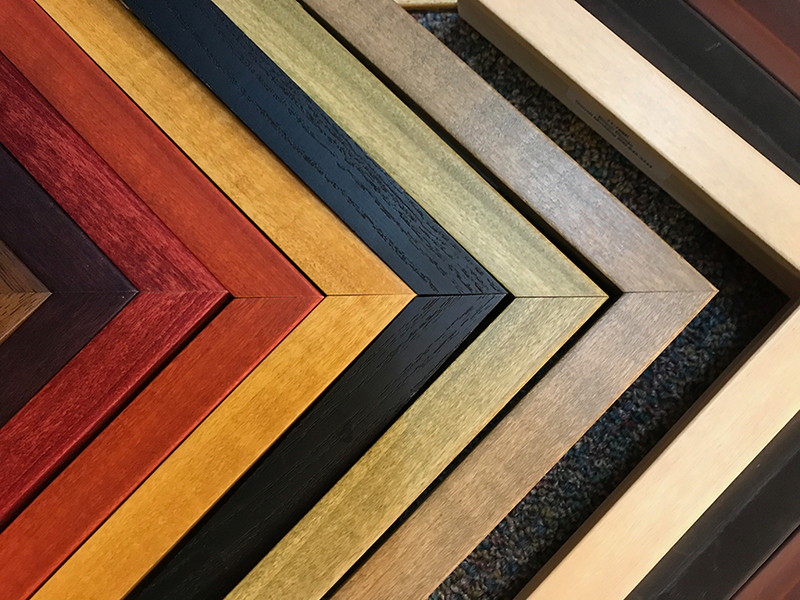 Today, David is a Certified Picture Framer (the framers mark of excellence) with a thirty-year record of success. He has been with Wood Trader now for 20 years and is responsible for delivering some of our most elaborate and sophisticated fine art and object framing. A native of Shaker Heights, David now resides with his wife in South Euclid. Paul perfected his craft in San Francisco where he framed fine art while designing and building custom furniture. Paul has been framing for Wood Trader since 2001 and is a member of the art collective in Little Italy. Scott is a 5th generation gilder and woodworker who has been with Wood Trader for over 20 years. Truly an artist in his own right, Scott brings a 19th century level of craftsmanship to our most elaborate gilding, framing and restoration projects. Scott is a native Clevelander who resides in Cleveland Heights with his son who just started high school.